Draw and intensify with the coloured pencil. Fair Blonde, Blonde, Brunette, Dark Brunette... 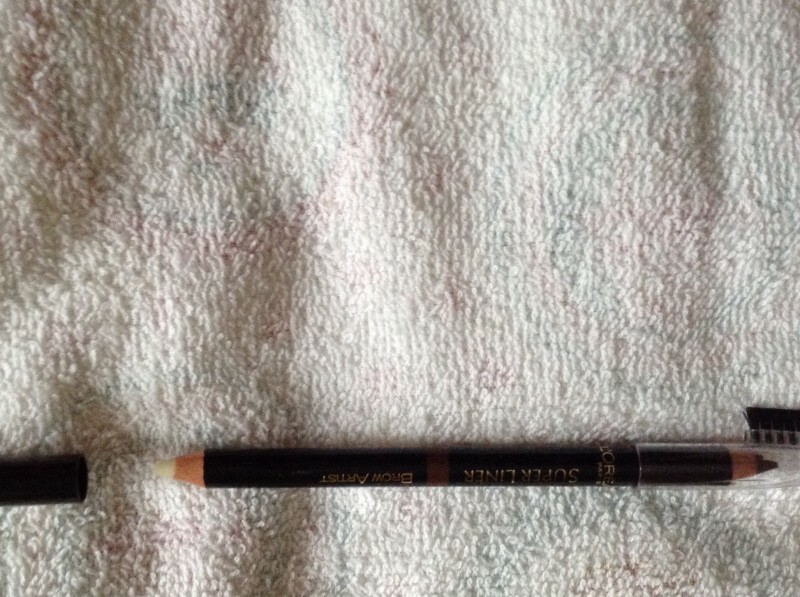 Choose the color that fits with your natural tone of brows and skin. Create your own look: soft with a flat brow design, strong with a round brow design or bold with an angled brow design... Dare to change the features of your face. G787238 - INGREDIENTS: HYDROGENATED VEGETABLE OIL PENTAERYTHRITYL TETRAISOSTEARATE, CERESIN, HYDROGENATED COTTONSEED OIL, TALC, SILICA [NANO] / SILICA, SORBITAN STEARATE, POLYSORBATE 60, TOCOPHEROL, ASCORBYL PALMITATE, [+/- MAY CONTAIN: CI 77491, CI 77492, CI 77499 / IRON OXIDES, CI 77891 / TITANIUM DIOXIDE, MICA]. (F.I.L B160794/2). Fixing Wax G787240 - INGREDIENTS: SILICA, HYDROGENATED JOJOBA OIL, CAPRYLIC/CAPRIC TRIGLYCERIDE, LIMNANTHES ALBA SEED OIL / MEADOWFOAM SEED OIL, HYDROGENATED COTTONSEED OIL, MANGIFERA INDICA SEED OIL / MANGO SEED OIL, CANDELILLA CERA / CANDELILLA WAX, GLYCERYL CAPRYLATE, MACADAMIA TERNIFOLIA SEED OIL, COPERNICIA CERIFERA CERA / CARNAUBA WAX, TOCOPHEROL, ASCORBYL PALMITATE, CHAMOMILLA RECUTITA EXTRACT / MATRICARIA FLOWER EXTRACT. (F.I.L B160792/2). Moderately hard, not lubricated, not floating. This is a product that came in a French beauty box I subscribe to. I'm finding as I get older, years of waxing and tweezing along with declining hormones have made my brows on the sparser side of what they used to be. I have dark brunette, which is a bit too dark for me, but gave me enough of a trial to go out and by the brunette. I especially love the build in brush! 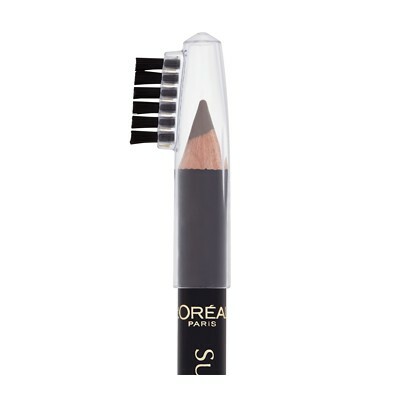 I've got rubbish eyebrows so I'm always on the lookout for a good brow product and this really hits the mark, I wear it on it's own or sometimes along with gimme brow. Love the all in one pencil idea. It's really made a difference to shaping my eyebrows, I love it so much I'm going out to buy another 1.. Or 2 just in case. 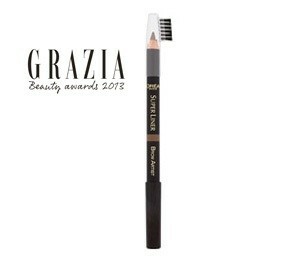 So easy to use and natural looking, very quick to use too! It's great you have everything on one pencil, your colour at one end, a nice eyebrow brush on the lid and a wax crayon at the other end to keep them in shape. Good price too, if you had to buy each thing separately it would cone to far more. 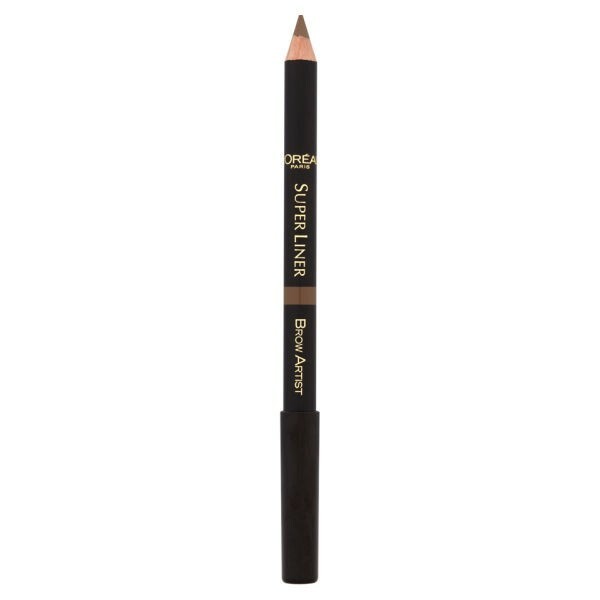 Also got to mention it's a lovely soft pencil which goes on easily, much better for natural looking brows, once you brush them through they look even better. Brilliant. Everything you need on one pencil and all at a really great price, I've recommended this already to friends.